This website is provided “as is” without any representations or warranties, express or implied. Kansas Lyme Fighters makes no representations or warranties in relation to this website or the information and materials provided on this website. USE OF THIS WEBSITE CONSITITUTES AGREEMENT WITH THIS DISCLAIMER. Without prejudice to the generality of the foregoing paragraph, Kansas Lyme Fighters does not warrant that: 1. this website will be constantly available, or available at all; or 2. the information on this website is complete, true, accurate or non-misleading. 3. Nothing on this website constitutes, or is meant to constitute, advice of any kind. All information is educational and information and is friend to friend support. 4. If you require advice in relation to any [legal, financial or medical] matter you should consult an appropriate professional. 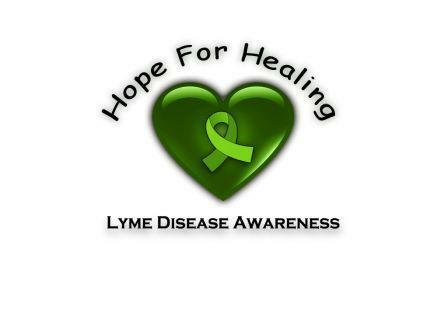 Kansas Lyme Fighters Inc does not prescribe, diagnose, treat, cure, or prevent any illness or disease. All information contained in this website is for informational and educational purposes only, and not intended for medical advice. Seek medical advice from Lyme Literate Medical Doctors. You may find information at http://www.ilads.org/ for a standard of care that is legal and found to be successful by people with tick borne diseases. If you need medical advice, Please contact your Medical Doctor. All information here is intended to educate the“member” looking for information that they may use to better their lives. Please take note that this website may provide information that is not IDSA, CDC, FDA, or insurance approved educational information, or may be considered “alternative,”or "experimental." Each member is using this website for educational and informational use only. All medical patients need to seek advice from their State’s licensed medical doctors and not from this web site. Kansas Lyme Fighters is not liable for any information or educational use of this website, or any information provided by other websites, or how the member decides to personally use this information or education. It is the opinion of the website administrators to refer the member to educational information provided by the International Lyme and Associated Diseases Society. However, other views are provided here and alternative educational information is also included. Each member is asked to carefully consider the source of the educational information they are reading and to talk with their Lyme Literate Medical Doctor before making any decisions about their personal medical care. a)to the extent that the website is provided free-of-charge by donor support, for any direct loss; b) for any indirect, special or consequential loss; or c) for any business losses, loss of revenue, income, profits or anticipated savings, loss of contracts or business relationships, loss of reputation or goodwill, or loss or corruption of information or data. d)For any future donations made to help future Kansas families obtain or access medical testing or treatment. These limitations of liability apply even if Kansas Lyme Fighters has been expressly advised of the potential loss. e) for any release of medical information discussed by members of their own volition. Members are encouraged to use good judgement in disclosing any personal or medical information on an Internet website. Security is only as good as that which is provided by http://www.webs.com/ NO INTERNET SITE is as secure as we would believe it to be. So, be cautious in the disclosure of any information!!! We are not liable for any loss of security from our own personal home computers or loss of documents due to memory loss or forgetfulness. Any or all or none of the people helping at Kansas Lyme Fighters may have neurological impairments that cause problems with learning, memory, cognitive processing, and ambulation. Therefore, no member of Kansas Lyme Fighters can be held liable for any loss. All use of the website, email, Internet, phone, fax documents or conversations is at your own risk. Use of this website or accessing anyone here is at your own risk. Use of this website means that you acknowledge and accept that there is a risk of using an Internet site to you personally according to what you chose to disclose. Disclosure of information of any type is at your own risk without liability to Kansas Lyme Fighters, Inc, Directors, Volunteers, Donors, Members, or anyone directly or indirectly related to Kansas Lyme Fighters or the Lyme Disease United Coalition. PRIVACY HIPPA REGULATIONS: Kansas Lyme Fighters, Inc. is not liable for your release of medical information through this online support group, or discussions that you have with others/others with you. Kansas Lyme Fightrs, Inc. urges you to use great caution in disclosing any information that may be used against you by insurance companies or any other agency private, public, or government, or corporation, that can be released directly or indirectly by anyone through an Internet based website. Remember, if you use your actual name, it can be pulled up in an Internet search and your conversations can be seen on the Internet. BE CAUTIOUS. Don't use your real name online! Your privacy is important to the Kansas Lyme Fighters Website on Ning and Webs.Com This privacy statement provides information about the personal information that Kansas Lyme Fighters collects, and the ways in which Kansas Lyme Fighters uses that personal information. Kansas Lyme Fighters may collect and use the following kinds of personal information:  information about your use of this website through the use of analytical devices provided by Ning or Webs to help us know what information is used most often, so we can better serve you.  information that you provide for the purpose of registering with the website including your email address (kept with administration only) and not used by this website for any purpose other than communication with you. No email addresses will be given to any other third party by Kansas Lyme Fighters, but we can not prevent hacking. We are not responsible for any actions of NING or WEBS.com in connection with any data gathering that they may do as a web business or the actions of any third party applications actions. Information about transactions carried out over this website including personal communication between admin and individuals who are asking for educational information for the purposes of increasing their own knowledge, or clarifying information that was posted on the website. All financial transactions such as donations are conducted through PayPal's website. Or information that is gathered through a secure agent like Pay Pal for the purpose of receiving donations for the development of a future Kansas Foundation for helping families in need of care for Lyme disease and coinfections—to access medical testing or treatment. All information shared on the site between parties that have become members--Kansas Lyme Fighter’s is not responsible or liable for any such communications or the outcome. All parties agree by using this site that they are in agreement with this disclaimer and use of personal information. For Information that you provide for the purpose of subscribing to the website services, Kansas Lyme Fighters is not liable. All persons are informed of the basic rules and asked to read the disclaimer of this site and are urged to be respectful both in language use (please do not use profanity or try to hurt people with your words intentionally—admin reserves the right to ban such individuals if necessary)—and be respectful in providing information that is not offensive to parties involved. This site retains the right to share Christian and Judaic (biblical) information as a source of comfort, instruction, and practical help to all who become“members” of this website. Use of this website by anyone is agreement that the use of Christian or Judaic (biblical) information or world view does NOT constitute hate crime or violate free speech in any fashion. Anyone who is offended may feel free to discontinue their membership. Administration of this website holds a biblical world view. All responses to people using this website may possible contain elements of this world view. Kansas Lyme Fighters, Inc. reserves the right and privilege to share this information as administration feels is reasonable and prudent. Administration adheres to a belief that all people are God’s treasure; that all people have become separated from God by chosing to break his commandments or laws; that all people have the right to free choice; and all people have a choice to become connected to God through His Son (The Word of God)-- Jesus (Yeshua), the Messiah (Christ) by choosing and accepting his authority and, coming into agreement that his sacrifice, giving his life by shedding his blood which was shed on the stake or tree (or cross) is sufficient to cleanse all people from their law breaking actions, thoughts, and intents of heart; and all people who agree with and are faithful to God’s plan of Salvation will inherit eternal life. John 3:16-21. We expressly identify“God” as the God of Abraham, Isaac, and Jacob, the God of Israel, the Holy One, the Great I AM, the Creator of Heaven and Earth and all Mankind (Men, Women, Children, and every tongue, and race). Admin chooses to yield to the ultimate authority of God and His Word and Spirit over our own lives, and all Mankind. Using personal information Kansas Lyme Fighters may use your personal information to: administer this website; personalize the website for you; enable your access to and use of the website services, educational information publish information about you on the website send to you products that you purchase, if any are made available for your consideration supply to you services that you purchase, if any are made available for your consideration send you statements and invoices, if this pertains to anything we are doing collect payments from you, if and when, any products become available, and, or for donations to a future Kansas Lyme Foundation to help families suffering from Lyme disease to access medical testing and treatment not covered by insurance or other income. Send you marketing communications, should any come available through this website. Where Kansas Lyme Fighters discloses your personal information to its agents or sub-contractors for these purposes, the agent or sub-contractor in question will be obligated to use that personal information in accordance with the terms of this privacy statement. In addition to the disclosures reasonably necessary for the purposes identified elsewhere above, Kansas Lyme Fighters may disclose your personal information to the extent that it is required to do so by law, in connection with any legal proceedings or prospective legal proceedings, and in order to establish, exercise or defend its legal rights. Securing your data Kansas Lyme Fighters will take reasonable technical and organisational precautions to prevent the loss, misuse or alteration of your personal information. Kansas Lyme Fighters will store all the personal information you provide on its secure servers in accordance to the provisions provided by NING. and Webs.com Information relating to electronic transactions entered into via this website will be protected by encryption technology through a third party agent like Pay Pal. Currently, Kansas Lyme Fighters is only in Kansas, USA, and on the WWW Internet. In addition, personal information that you submit for publication on the website will be published on the internet and may be available around the world in accordance with the way the world wide web Internet operates. You agree to such cross-border transfers of personal information. Reasonableness- By using this website, you agree that the exclusions and limitations of liability set out in this website disclaimer are reasonable. If you do not think they are reasonable, you must not use this website. Other parties You accept that, as a limited liability entity, Kansas Lyme Fighters has an interest in limiting the personal liability of its officers and employees. You agree that you will not bring any claim personally against Kansas Lyme Fighters officers or employees in respect of any losses you suffer in connection with the website. Without prejudice to the foregoing paragraph, you agree that the limitations of warranties and liability set out in this website disclaimer will protect Kansas Lyme Fighter’s officers, employees, agents, subsidiaries, successors, assigns and sub-contractors as well as all parties whose information and educational information is included on this website, both individuals and businesses, and non-profit agencies, and educational, and government offices that provide information for educational use. Unenforceable provisions If any provision of this website disclaimer is, or is found to be, unenforceable under applicable law, that will not affect the enforceability of the other provisions of this website disclaimer. TO SIMPLIFY THESE STATEMENTS: DO NOT USE OR SHARE PERSONAL OR MEDICAL INFORMATION ON THE INTERNET. USE GOOD JUDGEMENT AND BOUNDARIES IN ALL THAT YOU SHARE WITH ANYONE ON KANSAS LYME FIGHTERS. PREFERABLY, USE A NICK NAME. INFORMATION IS FOR EDUCATIONAL PURPOSES FOR SELF ADVOCACY. ADVOCACY: ALL EFFORTS TO ADVOCATE FOR YOU, THE MEMBER OF KANSAS LYME FIGHTERS IS DONE WITHOUT WARRENTIES AND WITH FULL KNOWLEDGE THAT WE CAN NOT BE LIABLE FOR THE OUTCOME. WE MAKE NO PROMISES. SOME OF THE ADVOCATES MAY BE SICK. ALL OF US HELP IN GOOD FAITH AS FRIENDS HELPING FRIENDS OR NEIGHBORS HELPING NEIGHBORS. WE ARE NOT DOCTORS. WE DO NOT GIVE MEDICAL ADVICE. WE WORK TO EMPOWER YOU TO ADVOCATE FOR YOURSELF AND YOUR FAMILY. THE OUTCOME IS IN YOUR HANDS. MAKE WISE CHOICES. BE PATIENT, WE ARE DOING THE BEST WE CAN WITH OUR ABILITIES. IF YOU ASK US FOR ADVOCACY, YOU CONSENT TO RELEASE KANSAS LYME FIGHTERS, INC. OF ALL LIABILITIES. IT IS THE STRONG DESIRE OF THE ORGANIZATION TO DILIGENTLY WORK TO DECREASE OUR COSTS OF OPERATION. WE HAVE NO OFFICE. WE HAVE NO PHONE OR FAX OR INTERNET COSTS AT THIS TIME: ALL ARE DONATED BY BOARD MEMBERS. ALL HOURS OF ADVOCACY, EDUCATION, AND SUPPORT ARE DONATED BY VOLUNTEERS. THERE IS NO PAID STAFF. IT IS OUR DESIRE TO HELP AS MANY PEOPLE AS POSSIBLE THROUGH OUR WEBSITE, PERSONAL PHONE CALLS, AND EMAIL or FAX. OUR PURPOSE IS TO ENCOURAGE AND EMPOWER SELF ADVOCACY. ADVOCACY AND REQUEST FOR FUNDING: WE ACCEPT APPLICATIONS ALL YEAR. WE MEET MONTHLY FROM JANUARY OR FEB TO OCTOBER OR NOVEMEBER EACH YEAR ON THE 2ND SATURDAY OF THE MONTH AT 1PM. WE OFTEN WILL NOT MEET IN SEPTEMBER, NOVEMBER, AND DECEMBER. CLICK ON "DOCUMENTS" ON THIS WEBSITE FOR INFORMATION ABOUT HOW TO APPLY FOR ASSISTANCE. KANSAS LYME FIGHTERS INC. IS AN AFFILIATE OF THE LYME DISEASE UNITED COALITION OF IOWA. WE RESERVE THE RIGHT TO TRIAGE OUR REQUESTS ACCORDING TO NEED. WE HAVE VERY LITTLE MONEY AND THE NEED STATEWIDE IS VERY LARGE. WE TRY TO LEVERAGE OUR DONATIONS TO HELP THE MOST PEOPLE. WE DO NOT DISCRIMINATE IN ANY WAY. WE HAVE A STRONG MISSION AND PURPOSE TO HELP ANYONE WHO IS SICK WITH TICK BORNE DISEASE AS BEST THAT WE CAN WITH WHAT WE HAVE AVAILABLE AS RESOURCES. Controversy: there is a raging controversy among government officials, medial establishments, and universities about the medical diagnosis and treatment of lyme disease and other tick borne diseases. This controversy has been found in Kansas and physicians in Kansas are discouraged from treating tick borne diseases. We have found that people in Kansas are being denied access to medical testing and treatment according to the standard of care established by the International Lyme and Associated Diseases Society at http://www.ilads.org/, publication, "Two Standards of Care." We encourage all people to consider getting a second opinion though Lyme Literate Medical Doctors at http://www.ilads.org/ and Columbia University Medical Center for Lyme and Tick borne Disease Research Center.